Printworks, Manchester. It’s a pretty touristy spot and it’s known for bars that stream sports and a place that gets a little bit rowdy on a Saturday night. In all honestly, it wouldn't be my first choice to head to for a meal out. However, after kindly being invited along to Around the World Bar to try a few bits from their menu, my mind quickly changed. Around the World Bar is hidden in Bierkeller, the popular bar chain. You need to head downstairs, follow the signs and soon you'll find a chilled out bar and restaurant with a completely different vibe to that of Bierkeller. Around the World Bar is every beer lover's dream. They host 100 beers from 33 countries, so you're never going to be stuck for choice! However, aside from the astonishing beer menu, they serve a variety of cocktails and wines. I went straight for the cocktail menu and as I'm still dreaming of those long, summer days I went for a Pimms cocktail. It was delicious and it was well gone before our main course arrived. Then it was on to the food. 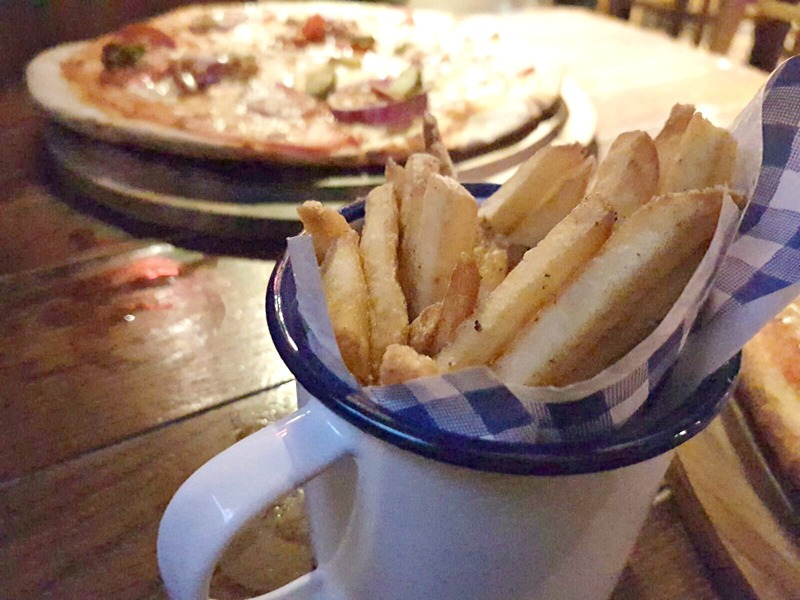 The menu hosts a range of sharing platters, burgers, pizzas and a few other home comfort foods. I headed straight to the pizza menu and my boyfriend soon followed suit. I opted for the Fungi pizza whilst my boyfriend choose the Al Capone, with a portion of fries to share. The pizzas soon arrived and the portion sizes were huge. There was more than enough to share one between us, however, I wasn't going to refuse a pizza challenge. 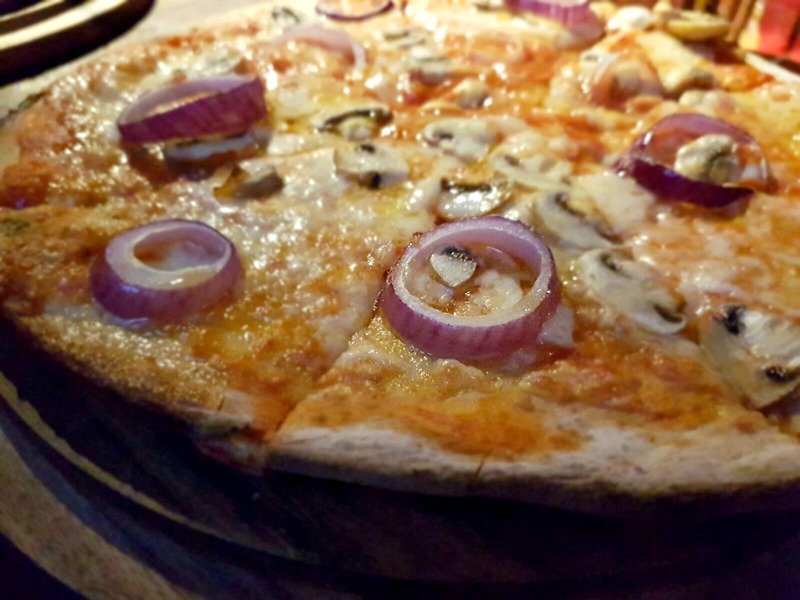 The pizzas at Around the World Bar are made to order and stone baked, it's a struggle to find stone baked pizzas in Manchester city centre, therefore it's a nice touch that really pays off. The pizza was delicious, with a good amount of toppings, cheesy goodness and with a hint of truffle oil, it was simply amazing! Unfortunately, if you’re a vegetarian and you don’t fancy pizza, there’s not a lot of other choices - there’s a goat cheese salad or a Quorn burger which are not the most adventurous vegetarian meals. Thankfully, I am a huge pizza fan (who isn’t?!) so there weren’t any complaints from my side. Around the World Bar has a really nice vibe, it's a great place to catch up with your friends over drinks or watch the sports if you fancy it and enjoy delicious homely food that will fill your stomachs to the brim. For the price, portion sizes and taste, it was more than good value for money! 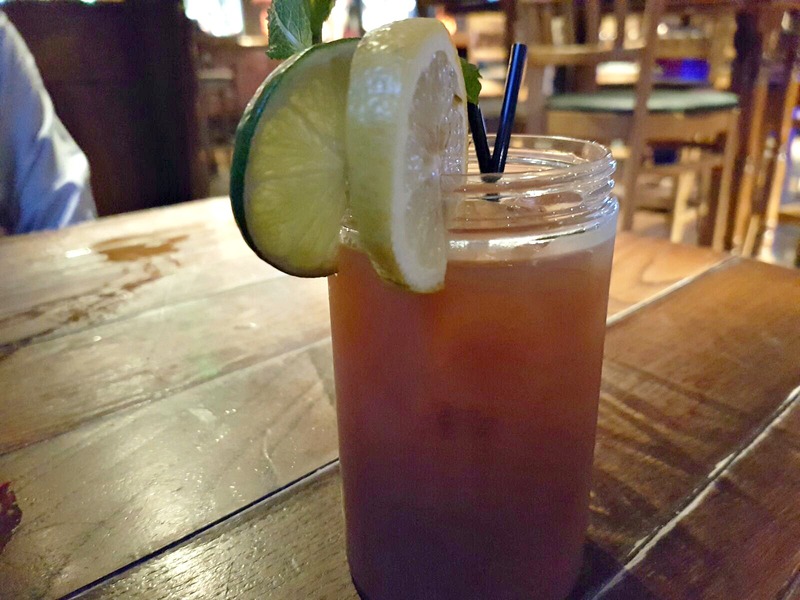 Have you been to Around the World Bar before? *We were given a complimentary meal in exchange for a review.